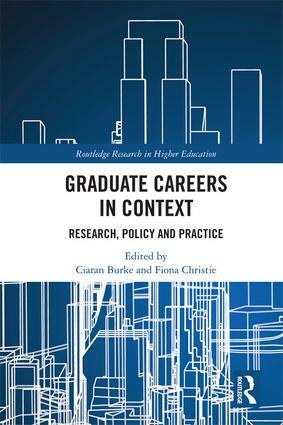 In a world where there are increasing concerns about graduate underemployment and likely career trajectories, it is not surprising that there is a significant body of literature examining graduate careers in post-industrial societies. However, it has become increasingly evident in recent years that there is a stark disconnect between academics who research employment and education, and careers and employability professionals. Graduate Careers in Context　brings these two separate groups together for the first time in order to provide a better understanding of graduate careers. The book addresses the problems surrounding the graduate labour market and its relationship to higher education and public policy. Drawing on varied perspectives, the contributors provide a comprehensive examination of issues such as geography, mobility and employability, before presenting and discussing the benefits of future collaboration between practitioners and academic researchers. The interdisciplinary focus of this book will make it of great interest to academics, researchers and postgraduate students in the areas of education, sociology, social policy, business studies and career guidance and coaching. It should also be essential reading for practitioners who wish to consider their role and responsibilities within the changing higher education market.